Flipkart has launched two new power banks for the Indian customers under its in-house Billion brand. The power banks come in two models- a 10,000mAh version priced at Rs 799 and a 15,000mAh version priced at Rs 999. The two power banks provide up to 3 USB ports, which can be used to charge not just mobiles, but Bluetooth headsets and smartwatches too. Each of these ports also supports 5V/2.1A charging, a feature typically available in higher-priced power banks. 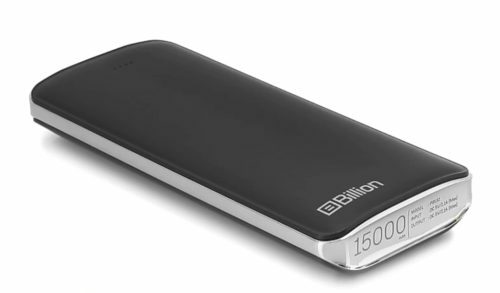 Flipkart claims that these power banks charge twice as fast as regular 5V/1A ones. The power banks sport an LED torch and come with a battery level indicator.The company claims that the power banks lose only three to four percent of the battery when idle for one month. Flipkart says the Billion power banks come with seven-way safety features, including under-voltage and over-voltage protection and built-in temperature protection and short-circuit protection. The new power bank models are also acclaimed to be 13 percent lighter than some of the top-selling power banks. The 10,000mAh power banks will be available in Copper and Black color variants while the 15,000mAh power banks will be available in Rose Gold and Black variants. The Flipkart Billion power banks come with a one-year doorstep service warranty. Flipkart is presently also offering five percent discount on purchasing the power banks using an Axis Bank Buzz credit card.